Recent graduated 51 doctors who have not been employed by government have now received a back up to their grievances from the Medical Doctors Union of Malawi (MDUM) and the Society of Medical Doctors (SMD). The two groupings have, according to reports given government a 14-day ultimatum to employ the doctors or face a massive national wide strike by medics. Government ailed to the doctors within its health delivery system and has not been clear on what was derailing the process. The two groupings argue that government seems not to care for the medical doctors and that it does not take the health sector seriously. 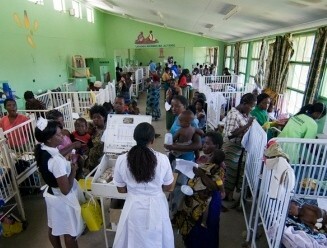 In a joint statement, which Malawi24 has seen, the two said that Malawi has specialist vacancy rate of 83% and the recently graduated medical doctors, “whom government is ignoring”, could have added to the number of those medical doctors to undergo specialist training in various fields. “We have continuously been told that the leading factors in human resource shortages in health are inadequate outputs from health training institutions amongst others including emigration, resignations and deaths. Now that there are visibly significant improvements in the outputs from the College of Medicine, it is inexcusable for government to fail to absorb them,”. “Despite the increasing number, the doctor-to-patient ratio remains alarmingly high. Malawi deserve better. “Malawi remains one of a WHO priority country perpetually failing to meet the target of 23 doctors/10,000 population necessary to deliver essential health services. “It is not surprising that we are a diseased country, still confronted with high mortality and morbidity rates in various disease categories. Government does not have the luxury to ignore 51 recently graduated doctors unless it is contented with what other commentators have vehemently asserted: Malawi government has its priorities upside down” a depict of the statement reads. “Therefore, we are strongly urging government through its Department of Human Resource Management and Development to absorb the newly graduated medical doctors into our ailing health system immediately, whilst fulfilling its own commitment to train medical doctors. This also comes after a worrisome statistic that as of 2010 Malawi had only 257 doctors serving a population of over 15 million, according to the World Health Organisation (WHO) . The Ministry of Health is yet to comment. I dono for wat reason the government is delaying employment of these fresh doctors,but for wat evr the reason is l’d rather they consider the suffering masses of its citizens which are dying due to lack of proper medical care.At least the university is doing its best injecting more doctors to our evr increasing population and its a draw back to our development as a nation if we don’t put health as one of the top priorities. I dono for wat reason the government is delaying employment of these fresh doctors,but wat evr the reason is l’d rather they consider the suffering masses of its citizens which are dying due to lack of proper medical care,of which one of the reason is inadequate medical doctors.At least the university is doing its best training brilliant doctors who work restless in hospitals with no drugs and its a draw back to our development as a nation to deny health as our first priority. The country so called Malawi…by your names sichina ai…Nyasa meant kulibe chabwino and Malawi nde kuotchabax…the end of one hardship coz 4the rise of another one..
Angotenga Ndalama Za Ku Education Zomwe Ankati Zapezeka Zija Awalembele Madokotalawo Nanga Si Aphunzitsi Anakwana? The government is failing to employ doctors who were supposed to save thousands of malawians who r dying everyday in our hospitals that are operating without drugs yet the president travelled to USA with more than 100 people!!! wat a shame…. Kkkkkkkkkkkk! Koma mavuto kumalawi afika povuta bwanji; mpaka kuchita kuopsyezana kuti munthu alembedwe ntchito? Is it a right to be employed by government? Kkkkkkkkkk!